The Human Comfort library enables the mathematical modelling of human thermal comfort within buildings, vehicles, ships and aircraft cabins. Typically the HVAC systems are optimized in accordance with economic criteria (cost, efficiency, etc.) but from the user’s point of view the thermal comfort is very often more important. How the thermal comfort changes with personal and thermal factors has been examined in several studies and put into classification numbers. Standardized calculation methods for these numbers were developed and allow a detailed analysis of the human comfort using this library. Control algorithm development from small cabin to whole building from desktop. 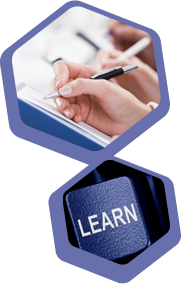 Seamless integration of user-defined models. Compatible with all other Modelica standard based libraries. The models of the Human Comfort Library can be used to optimize the development of air conditioning systems of vehicles and buildings. The library allows the simultaneous dynamic simulation of conditioned zones and air conditioning whilst also taking in to account the thermal comfort for the occupants. Often the HVAC system will be simulated by using a reference load curve as the boundary condition instead of the building. This approach assumes that the HVAC system can fulfil the heating and cooling demand at any time. This method neglects however the transient interaction between the building and the HVAC system. The integrated modelling approach is important for system sizing taking the thermal comfort of the occupants into account. Integrated simulations also allow the user to analyze system configurations where transient effects due to the masses or other inertias in the zone that cannot be neglected. Hence, realistic control schemes can be developed. 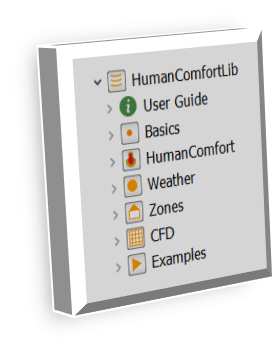 The Human Comfort library offers a modular approach and makes use of standardized interfaces (Modelica Fluid connectors) enabling an easy implementation in existing Modelica libraries. Each Human Comfort module is exchangeable. 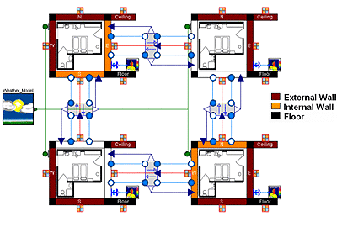 The user may combine an existing building simulation model with the Human Comfort module or the Human Comfort weather module. Michaelsen, B., Eiden, J., HumanComfort Modelica-Library Thermal Comfort in Buildings and Mobile Applications. Proceedings 7th Modelica Conference, Como, Italy, Sep. 20-22, 2009.